Two recent Beatles books burnish their legacy, not so much with encyclopedic facts and sociological stats, but through the personal stories of two very different individuals who share a common love for the Fab Four. The first, Diary of a Beatlemaniac centers around the recollections of a Catholic School teenager from downtown Philly beginning in 1964; the other, The Roof, is a very inside look at The Beatles’ career-ending rooftop concert as recounted by a white-jacketed record exec who was there when that momentous event transpired. Both are superb reads with a fresh perspective. Some additional details follow to entice you. 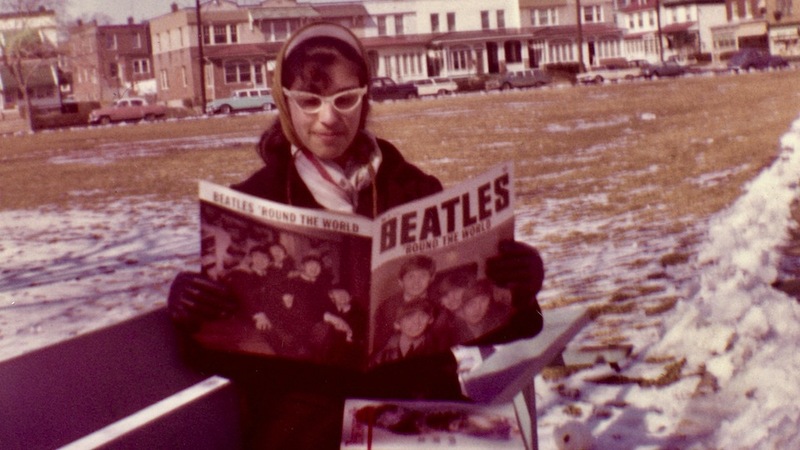 Patricia Gallo-Stenman’s Diary of a Beatlemaniac: A Fan Insider’s Look at the Beatles Era is a trippy dip into the 1960s, when the mop-tops from Liverpool appeared on Ed Sullivan then changed music fandom forever as innocent schoolgirls found their pubescent urges heightened by the mere sighting of John, Paul, George, and Ringo. Gallo’s verbatim diaries — of both herself and some “Beatles buddies” — are awkward and deliciously dated as they relate the collective obsessions, fantasies, and discourses. This particular group saves its pennies for concerts, dons Lennon-style newsboy caps, sticks Beatle pins on every available surface, and wallpapers rooms with photos as each contemplates impossible futures with the lads. The diary is primarily Patti’s story but it also plays like a time capsule of bygone innocence. Despite her youth and naivete, Gallo’s got an obvious flair for words and an intensity and courage that allows her to reach out to local papers and eventually write her own column. There’s a cornucopia of enclosed Beatle ephemera — buttons, newspaper clippings, correspondence, and pictures — that end up recapping one lovely young woman’s coming into her own in mid-20th-century style. Her diary focuses on the initial wave of Beatlemania up through 1967, at which time she graduated from high school. In this brief span, she describes a fairly unsullied obsession devoid of drugs, booze, and lechery. To the contrary, her adventures have the quality of vintage teen “malt shop” novels, with their now-anachronistic patois and date-stamped product placement. 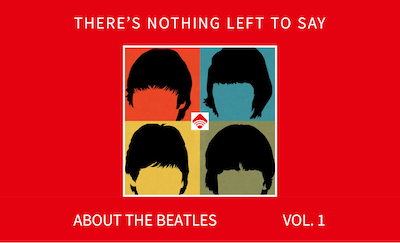 Perusing her diary has the feel of reading a friend’s stashed private writings except the subject matter is incredibly Fab Four-centric as she examines their perceived quirks, latest songs, and any pertinent news items of the day. While Patti and her friends never meet an actual Beatle, their dogged persistence does yield them a once-removed correspondent and friend — the late actor Victor Spinetti, who appeared in A Hard Day’s Night, Help! and Magical Mystery Tour. Spinelli was kind enough to send the girls a sweater he’d worn in that first film, along with sundry autographs and a lock of Paul’s hair. This friendship continues through the years as evidenced by a lovely interview with Spinelli in the book. No less intimate and far more insider is Ken Mansfield’s The Roof: The Beatles Final Concert, a first-hand account of the famed rooftop session,” that brilliant, gritty, final concert on top of the Apple Records building in 1969. Held on the drafty roof of London’s 3 Savile Row, this “goodbye” performance added a historic exclamation point to a stately pile built in 1735 that had previously housed admirals, dukes, and ladies (not to mention their attendant scandals) for centuries — years before The Beatles called it home for their final years. As to Mansfield, he was the U.S. Manager of Apple Records — a talented, hard-working Californian who loved his job working for the Beatles during their heyday and took enormous gratitude from his joyful professional friendships with John, Paul, George, and Ringo. In a book that takes longer to read than the short event it chronicles, Mansfield gorgeously sets the stage for the adventures that led up to this wondrous final show (which itself became the basis of the Michael Lindsay-Hogg documentary Let it Be) then examines its poignant aftermath. While his words are infused with humor, humility, and fondness, he makes no bones about the well-documented tensions that were at work here on the scene. George was growing disaffected; John was completely Yoko-centric; Paul was beginning to feel the stirrings to move on. Only Ringo appears to have remained grounded. Mansfield’s passion for music and these musicians gives his narrative an unexpected warmth, as though he’d written from the soul. But it is also a wise, clever read, with historical descriptions and perspective throughout. Despite the mild dread precipitating the hastily-constructed rooftop session, Mansfield made sure to have a seat with the tiny audience. (He’s the one clad in a hastily obtained white jacket purchased in a futile attempt to keep warm.) From this vantage point, Mansfield has captured the moment for posterity — a one-off musical miracle, circa Jan. 30, 1969. Photo Credit: Image for Diary of a Beatlemaniac courtesy of the publisher and 910 Public Relations. FYI. It’s Victor Spinetti, not Spinelli. Good catch. Sorry about that. It’s fixed now. Thanks.